I've been researching biochar production with the goal of designing something accessible and relatively affordable but also clean and capable of processing large amounts of material from varied feedstock. 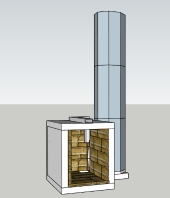 Looking at the best medium-scale commercial design (New England Biochar), which is essentially a large steel gasifier stove connected to a convoluted flue that runs under a super insulated and airtight steel dumpster, I immediately start to imagine a batchbox RMH with a double-wall bell that contains a retort chamber, accessible from a sealed loading hatch. Doesn't seem that much of a variation from the popular RMH design. The main question is how to set up this heater to maintain the proper pyrolysis temps for the right durations in the retort. The mass would need to be sized precisely to achieve for this function and any excess heat should be captured in a hydronic system with a simple waterpipe heat exchanger. Anyone else excited about this style of build? I say go for it Dan. I know next to nothing about biochar , but I imagine that a rmh would excel at producing it. 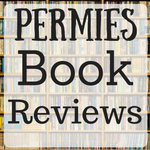 What are the parameter's ? How hot for how long? How much char does one make at a time ? Now here's a question that shows how much I know about biochar... what do you do with it ??? Kingsford charcoal is pretty cheap on sale at HD ??? (I'm joking)..
We love when someone thinks outside the box.. that would be you! 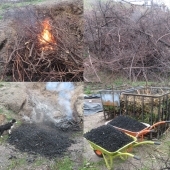 Biochar is basically just a preparation of wood similar to charcoal but more suitable for use as a soil additive, in addition to many other uses. It is closer to food grade activated charcoal in that it has a much higher porosity then regular bbq charcoal and is a much more pure carbon. 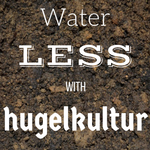 Biochar is usually soaked in compost tea, urine, etc to charge it with biotic life beneficial to plants. There is a lot of research showing it was essential to creating fertility in the Amazon and also the N American prairie. Ok so the basic parameters are: maintain a temp above 100C for 30-60min drying stage, then hold a temp of around 500-600C for at least another hr. I guess the first question I have is, while I know that rocket stoves reach some incredibly high temps at the riser, is it feasible to hold temps of 500-600C in a bell sized flue (although most of the bell volume would be occupied by the retort, which is NOT open to the flue). Another design factor to keep in mind is that the retort, while blocked off from the flue, will need separate ducting to exhaust steam (100C-250C temperature range) and then condense and collect tar/oil/vinegar (around 250-400C) then finally above this temperature the remaining VOC gases can also be ported back into the firebox to supplement the burn. I have my doubts about getting to and holding 500C (932F) in the bell with a standard J tube rocket stove. And I am not familiar enough about batch box's to say if they could reach your desired temps. either. I think the biggest issue would be the ability to "hold" temps . It is possable a rmh could reach those temps, but it could also shoot right on past as well. There are more experienced batch box builders here at permies, who may have a better idea of the high heat possibility's. Hopefully one of them will give their opinion. If we can't give you an answer, then try asking this same question over at donkeys rmh site. http://donkey32.proboards.com/ They are cutting edge inovators over there and may have the info you are looking for. Hi Daniel, I've been thinking about this too! I see this at the intersection of RMH, biochar retort, rocket oven, plus domestic hot water/hydronic heating. Considering that the "Hookway retort" is an L shaped rocket through the retort barrel, I'm going to say it is very likely possible. How all the components fit and work together, is the problem to work out... The retort differs in that it is insulated to reach the temps. (not unlike the rocket oven) and not shed heat like the RMH barrel, or absorb heat like a masonry bell. How big would you like the retort to be? Perhaps something like the rocket stove pizza oven that has been discussed here on the forums. These ovens have me asking the same question, how do you maintain a constant temperature. I recently built a J Tube system with a high temperature sensor at the top of the heat riser. I tend to see sharp spikes as new fuel is introduced. My heater is only 5 weeks old so I've only had it for a short while but I've been able to play. I tried to maintain a constant temp in the core but found it difficult. I suspect a batch box would produce more of a consistent output. Here's another thread of mine discussing the sensor and it's output. I'm not sure I agree with their claim about lower temps, though. Most sources I've found say that biochar quality is better with sustained temps of 500-600C, although there are some benefits from lower temp batches, so being able to do custom temp control would be a nice feature too. Hmm.. I think the bigger the better! Mainly because a larger retort will function as a better heatsink (probably difficult with a smaller pizza oven) and, being heavily insulated to the outside, could then sustain a good temp. I'm thinking 4'x8'x4' or so. Maybe one strategy could be catching the syngases out of the retort and having a thermostatically controlled mixing valve for reintroducing them only when the temp is going to fall below a certain threshold? Or maybe a better approach would be to just quickly dump excess heat into a large water storage tank with a fast flowing hydronic heat exchanger whenever things get too extreme. I wonder what insulation material and how much would be needed. Could anyone do the R-value calculations for it? Rich Points wrote: How big would you like the retort to be? I haven't built my rocket oven yet, though I did get the barrels two weeks ago! so, progress...? I'm not sure if the wood gas needs to be throttled or not... the Exeter video from the Woodlanders series might have explained the operation in detail? Size-wise the Exeter retort is similar... I wonder how much "waste" heat you'd be signing up for and/or be equipped to capture? BIG water storage tank? or a large heat load (like a big greenhouse) Also, how about the time for it all to char? An ALL DAY (24h) affair? compared to maybe a few hours for a 55 gal. size retort (a relaxing evening?). I know the New England Biochar facility at Living Web Farm in WNC is very quick and their retorts are very large. A lot probably depends on the gas flow through the feedstock. Also with a retort there's no need to quench it like in a pit or TLUD kilns, so you can just leave it, but yeah it might take several days depending on the heat exchanger. I've always been confused about people making biochar in the summertime. Maybe just an appreciation for four distinct seasons that we have here in Boston. Maybe if there's no method for waste heat capture, it is irrelevant? Or, it's more complicated than most want to get. Stockpiling the fuel and only making the biochar and heat while it is useful makes the most sense to me. Anyway, it sounds as if we have similar goals. I'm interested to see a diagram of the Exeter internals. The major disadvantage I see to the Hookway design or the Carbonzero retort I linked to above is that the retort is more or less located inside the firebox. The retort is effectively a heatsink, particularly in the first phase of cooking. Having a heatsink in your firebox is always a bad idea. Without an effectively insulated firebox and riser, the fire cannot reburn its own flue gases, causing smoke and efficiency losses. In all these similar designs, therefore, the burn temperature is drastically impeded during the initial cooking phase, when the retort is steaming all the moisture out of the feedstock. It makes a lot more sense to have a super efficient rocket stove with a fully independently insulated riser and then a retort chamber that is only heated by the subsequent flue gases (which will actually be equivalent to or even hotter than the temps in these designs with a compromised firebox). Then, once the moisture has been cooked out of the retort, it can begin sending its own syngas back to the firebox for a self-sustaining burn for the rest of the cooking process. When set up properly, one should be able to calculate the percent moisture content of the feedstock when loading the retort, then use that percentage as a guideline for determining the amount of fuel needed to get to the point of syngas production, which would then complete the burn on its own. Here's my first attempt at modeling a Rocket Char Retort. Obviously this needs a lot of flushing out, but it shows the basic idea of a rocket connected to a bell style flue with a retort built into it. Also indicated is the porting of syngas back into the firebox, which is too simplistic since it would need to allow venting of steam for the initial phase and ideally a condenser port for catching tar/oil/vinegar in the early stages of pyrolyzing. The outside of the bell and door into the retort would be super insulated. Also usually the chimney exit from the bell is at the bottom, I'm not sure if the location matters as much in this instance since the whole bell will be surrounded by as much insulation as possible. I kinda lazily put the chimney pipe on the top but maybe it should still be at the bottom back corner? I would love for one of the RMH and SketchUp experts here to carry this forward. I probably won't have time to get too hands on with this for a while, but I wanted to put the idea out there! Daniel Bowman wrote: I'm interested to see a diagram of the Exeter internals. I agree that involving the rocket and the retort complicates things, both for the proper burn environment and for loading/unloading/cycling the whole unit. Maybe both? an external pilot rocket to "preheat" and an internal rocket to run the pyrolysis once the charge is hot enough for good combustion? It might simplify burning the woodgas without needing to pipe it out. 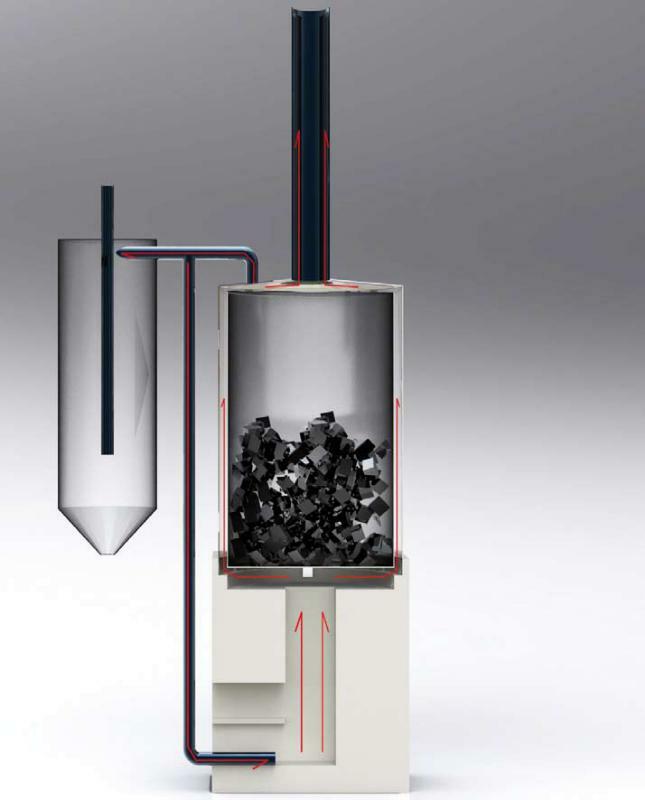 Some of the commercial charcoal plants are like this, where the process is continuous, and all stages are occurring simultaneously, and contributing to other stages. Hi Daniel. What size batches are you expecting to process, what is your material makeup and how often would you fire the system? I like open retort systems versus closed retort for simplicity sake and for flexibility of heat loads. I usually use a tlud system or burn down in a wood stove myself. Im aiming for char for running engines so usually my raw feedstock is wood not debris though. You have a design similar to the Hornitos biochar kiln. It is essentially a rocket fired white oven. It controls the flow of the wood gas exhaust by monitoring temperatures temperatures. The point when they become flammable is precisely identified, and the gas is diverted . Each kiln routes the woodgas to the kiln next to it, in a daisy chain that allows each act of pyrolosis to fuel the next. Unfortunately the Hornitos biochar kiln video is caught up in a copyright fight, so I havent been able to view it online. The Iwasaki kiln is another similar design. The Iwasaki kiln routes the exhaust of a fire directly through a "bell" full of feed stock. There is no separation between the exhaust gasses of the fire that drives the reaction,and the biochar feedstock. It is essentially, a "black oven". As with the Hornitos biochar kiln the exhaust temperature is monitored. This time it is diverted to a simple condensing apparatus to capture the wood vinegar. As the temperatures rise, the vinegar element tampers off and the tars begin to be present. They could also be captured by condensation, but they are toxic. Aside from using them as preservative, they would be a refined fuel, stored energy. Most of the set ups seem to burn them off without capturing the energy. The man in the first video below has a working apparatus that is cranking out char and wood vinegar. They guys in the second video below are trying use it to fuel the reaction, much like in your design. They don't seem to be using a rocket stove, even though they reference the Hornitos biochar kiln, which did use a rocket stove. I think a batch box rocket could be sized to pyrolize everything in the associated kiln, with little wasted heat, but the wood gas from the retort would go to waste. Biochar kiln, modified Iwasaki kiln with pressure vessel and cracker piping. 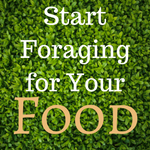 Potentially, one could get wood vinegar , biochar, heat and pyrolysis oil from a single batch of feedstock. I think the pyrolysis oil might be worth doing, because it allows us to use wood to fuel whatever reaction we want whenever we want, rather than needing to use it right then and there. It wont be getting into the atmosphere, so that's a bonus. Is it dirty to burn later? I think if we add it back into a rocket stove, it would burn clean. Introducing it through the secondary air port might work, or some other drip or atomizing system could do the trick. Ease of loading and unloading is a significant design feature. I think being able to fill a perforated steel container with feedstock and roll it into the kiln is a good idea. A block building that could hold an entire IBC tote, heated by exhausting a batch rocket directly into it, would be my vote for ease of construction. If we make large enough to hold 3 or 4 IBC totes, we could alternately load a long cart full of log and lightly pyrolize them, to increase their durability. Any load could be potentially be quenched with wood vinegar, which in different concentrations, can deter or encourage microbial life. In my opinion,the heat produced is best used to distill water. By nature of the process,distilling water produces a product and moves the heat to someplace else that is cooler. This could be used for space heating, but it will at least move the heat. Maybe more experienced RMH folks can help with an actually buildable design. I don't have very much hands-on rocket stove experience at this point. I may be able to employ some folks to design and build one of these, though, so if anyone is excited by the prospect of doing that, contact me. I like the idea of saving the oil, it seems potentially less complicated than having to count on it to finish the current batch, easier to just stoke with already prepared fuel. that PDF is great find! There is more there than I have been able to find in a long time searching. The top of the structure, is kind of confusing, but consists of three nesting barrels. There is an inner retort,probably about 30 gallons, with an opening for the woodgas pipe to screw into. A 55 gallon barrel surrounds that and mates up with the lower barrel to form the bell. It has a chimney stub and a place for the woodgas piping to pass through. The third barrel is probably a 55 gallon barrel cut and expand with additional metal. I believe it is an insulating shroud, and it has holes for the chimney stub and woodgass pipe to past through. Loading the retort probably involves disassemble and reassembly, so it is less than ideal. My idea for a comparable set up involves scrapped electrical or gas ovens. Set into the wall of an insulated bell,the ovens would provide door with adequate seals for loading/ unloading. A very large batch box rocket could provide the start up heat. The cap on the bell should be an un-pressurized tank of water. The waste heat will boil it off, to be cooled by an coil, to create distilled water. Ideally the same body of water will be used to cool the woodgass, to create methanol , tar, wood vinegar, etc. A hoop house with air to soil geothermal storage would be a great spot to locate the entire enterprise. On the subject of wood tar , there seems to be a lot of literature indicating wood tar is medicinal. In parts of Europe is even used as a flavoring in candy. There are particular studies that examine it use to treat skin conditions such as psoriasis, noting the lack of cancerous side effects. I have yet to find any studies condemning wood tar, but that might speak more to my own skills or lack there of than anything. On the other hand, finding studies that roundly condemn cola tart as a horrible carcinogen is easy. Here is aa pdf about the desctructive disliation of wood. All the products of this seem to be flammable, minus the water.